Those who miss the good old days need not bother. Rodale’s first book in a new series, The Gilded Age Girls Club, set in New York City is a treat and testament to how a hero can still be strong and be a feminist. Move along dukes of the past, it’s time to join the real world and I’ve been searching for a hero who’s just that. This isn’t the first book I’ve read this year with a hero who actually listens to the woman he’s attempting to woo and I pray it won’t be the last. Over the past two years, since the last election, there has been a seismic shift and growing awareness for what constitutes a hero. I’m delighted to say that Rodale got it right with the Duke of Kingston. Kingston at the start of the book is the typical duke. Newly minted, out of money, and in need of an heiress. His journey to American to find a rich wife who will save him is quickly derailed by our lovely dressmaker heroine, Adeline. If you’ve read the blurb you know where this is headed. For me, it was headed for disaster. The worst of the worst happens to our heroine, from being entangled with a man who will not be any good for her, to losing her position. This duke had a lot of groveling and growing up to do. Not to mention – how in the world will these two actually find a way to be together? This is something I haven’t pointed out about Rodale before and I should have. She is a master at conflict. These two characters have nearly insurmountable odds to reach a happily ever after. I could not predict how it would come about. I could only see ruin and heartbreak. I can say the road to the HEA is tough, but fresh, enlightening, and full of character growth. There are villains in this piece, but a good storyteller demonstrates how villains often truly believe in their own causes. From Kingston’s misogynistic cousin to Adeline’s jealous, mother-like employer the story is riddled with people trying to cause issues for our main characters. In the same vein, Rodale provides plenty of allies, including Adeline’s fellow seamstresses. I only have one problem with this story and it’s a personal preference. As a woman who has dealt with being accused of cheating, Kingston has a bit of a repeated problem of wondering about Adeline’s success throughout the story. I don’t want to spoil anything, but for me this went on a bit too long and at some point, though he knew it was wrong, continued to pursue the topic when he should have already dropped it. The conflict hewn from the possibility of her involvement with another man was minuscule on the grand scale and rather pointless when so many other scenarios existed. Chalk this up to the part of the hero being a little too realistic. Overall, this book gave me a hero who was flawed. Although he’s not perfect by the end, he was willing to open to the possibility that maybe some of the toxic, masculine ideas he’d been raised with weren’t the best to follow. The heroine is a delight and empowers as well as learns how love and success can be gained without sacrificing one for the other. 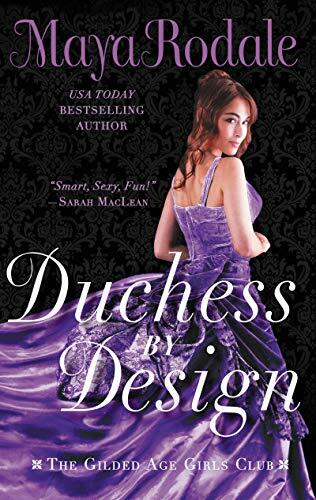 For readers who enjoy Sarah Maclean and Eva Leigh. Denise, you won an ebook. Please contact me.